As my skin have been playing around with me lately, I decided to switch up my skincare routine. 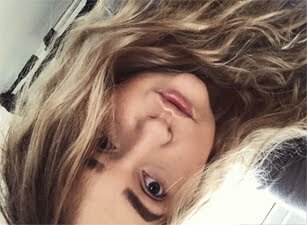 My skin during the colder months tends to get drier around my nose area, chin and forehead. 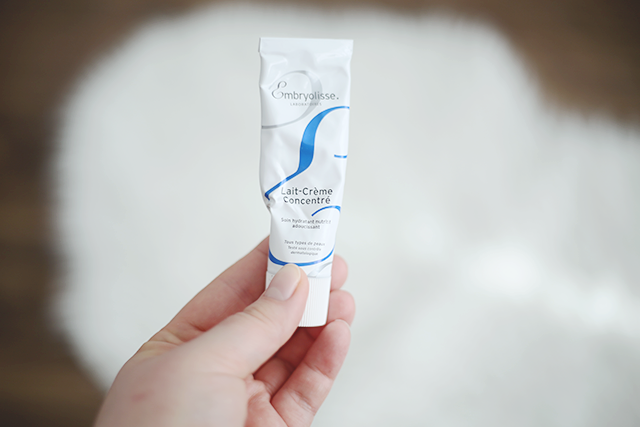 The Embryolisse Lait Creme was on my wishlist for a while, so many beauty blogger have spoke about it, so I thought it's a must have too! The cream is enriched with essential fatty acids and vitamins, this helps to moisturise your skin, the cream itself is very lightweight on the skin. Absorbs really quickly, I love to put a thick layer on before going to bed, and lighter layer in the morning, works well under make-up too! Apparently it's also a multitask product, it can be used to cleanse the skin or remove make-up, as a repairing mask, an after-shave cream or as a baby-care product. I never tried to remove my make-up with it, but I do tend to use it on my elbows or any dry areas on my body. My skin does like it, but recently I decided to look up the ingredients list, and it isn't that great. Not really worth the money, considering the ingredient list, but on the other hand it does work! I am slightly teared up at this point, as my skin gets on with the cream really well, but 75ml costs around £20, not going to lie, it's not cheap. I guess once I will use it up, I will just try out something else, as I don't want to pack my skin with Paraffin. I am not saying it's a bad product at all, because the cream itself does add moisture to my skin, doesn't break me out. My seems to like the Embryolisse Cream, otherwise I wouldn't be using it. This is such a mixed feeling review, lets get the points straight I do like the product, but not a fan of the ingredients, as well as the price. Have you tried it? Hmm, well if you get good results with it it's working! Although probably not great for daily use. I've never it but I'm curious. I haven't tried this but I've heard so many good things about it! Embryolisses ingredients are quite basic but works perfectly well thats why its amazing. I love it and wouldnt use anything else. If you look at it as a multi-tasker it provides really good value !!!!! I haven't tried it but with a mixed opinion, I would personally probably not pick it up and try to find something cheaper.